If you have snap happy co-worker with a love for hot beverages you are in luck! They will love this camera lens mug from Find Me A Gift – £14.99. 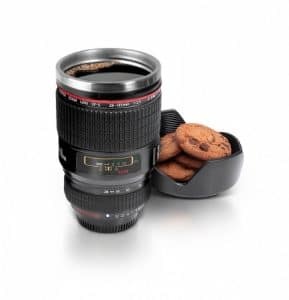 These witty mugs look just like camera lenses, includes a lid that also acts as a biscuit holder or coaster! Made of plastic, hand wash to preserve detail. Great funky mugs for any photography fanatic! Mugs don’t get much cooler than this one, snap one up today. 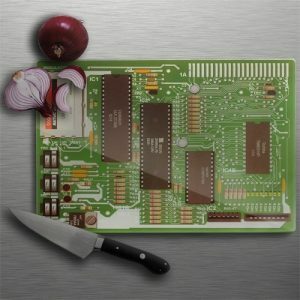 If your co-worker has a love for food they will appreciate this motherboard chopping board from Genie Gadgets – £8.95. This chopping board is made from scratch-proof glass and is designed to look just like your computer’s motherboard. The perfect and practical for preparing those gourmet meals, with its strengthened glass, non-slip rubber feet, detailed design features backup batteries, memory slots and fan connectors. The ultimate gift for any retro gaming loving co-worker! 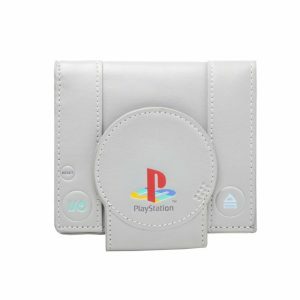 Check out this Playstation wallet from Red5 – £14.95. Inspired by the original console design, this grey Playstation wallet is not only awesome but useful too! With 4 slots for your cards, 4 small inner pockets, 2 separate note compartments and a handy zip coin pocket for your loose change. This officially licensed piece of Sony merchandise comes in a bifold design with a polyester lining, making it super durable and sure to add a bit of retro-cool to your everyday life. 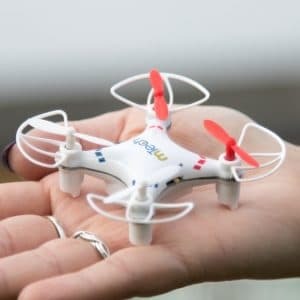 Drones have become popular gadgets in recent years if your co-worker is a drone fan get them this Micro Drone v2 from Genie Gadgets – £20.95. Measuring in smaller than the palm of your hand but packed with power and hovering ability. Not only does it glide and soar like its competitors, it also flips beautifully mid-air thanks to multiple flight modes. Techies will be pleased to hear that as well as a 6-axis gyro system, impressive 2.4Ghz power and four spare rotor blades the drone also has four radio channels available for flight and charges in an impressive 30 minutes. For a more quirky co-worker why not get this technicolour dream mouse? From Red5 – £19.95. 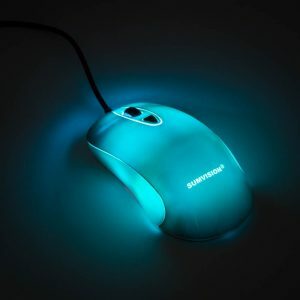 Fully illuminated Plasma LED gaming mouse can glow in any colour you like. Using the downloadable software choose from a mighty 16.8 million RGB colour options that omit an awesome glow across the entire body of the mouse. Fitted with OMRON high-end responsive switches, making each click clear and precise. As well as an AVAGO A3050 4000DPI adjustable optical sensor, picking up high-speed movements and full customisation of the buttons. 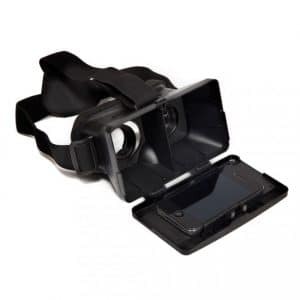 Let your co-worker immerse themselves into a virtual world with the virtual reality headset from Genie Gadgets – £13.45. While before this piece of kit, virtual reality may have seemed like a rather fanciful and distant dream, the Immerse Virtual Reality Headset makes it all that more possible. With adjustable lenses and a wireless 360 degrees head tracking included, the Immerse Virtual Reality Headset offers a great value starting point for anyone keen to delve into the world of virtual reality for the first time. 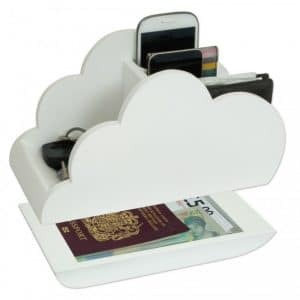 Get your co-worker the gift of stylish organisation with this cloud storage desk tidy from Genie Gadgets, £15.95. Designed to look like a white cloud into which you can store your keys, passports, coins and phones. A hidden section built into the base of the cloud. In the main body, there are sections of varying sizes to store MP3 players, phones, receipts, and wallets safely. The unrestricted design allows charging of devices whilst stored in the cloud. 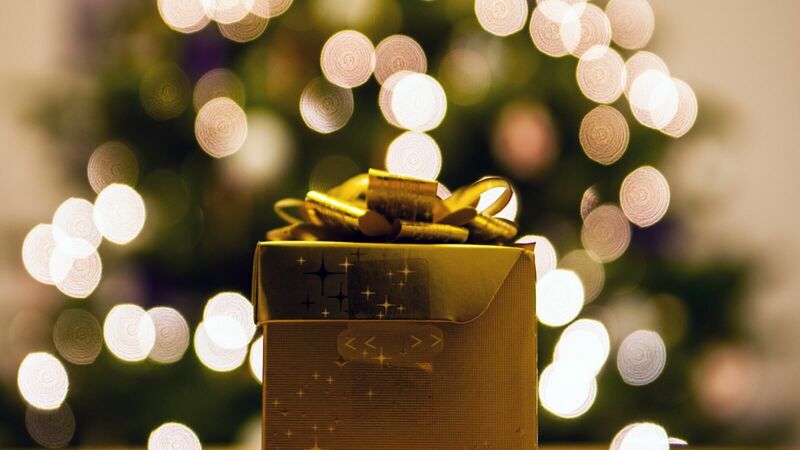 So hopefully our secret Santa gift ideas have given you the inspiration you needed to choose the perfect gift for your co-worker. The whole Excelpoint team are wishing you a very Merry Christmas!